Priced as low as $! 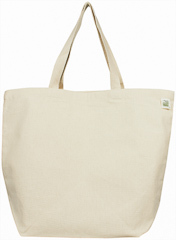 The ECOBAGS Recycled Cotton Canvas Tote is the basic bag you've been looking for. The Canvas Tote is the perfect companion for a variety of activities like grocery shopping, daily errands, craft projects, day trips, travel, etc. 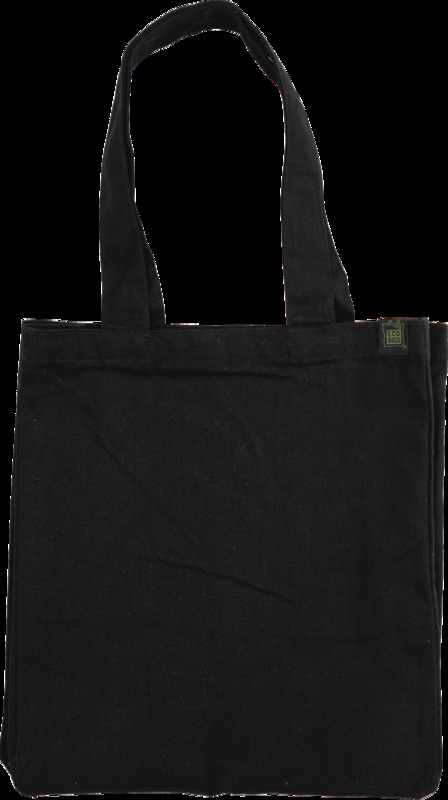 All seams and stress points are double stitched for durability. 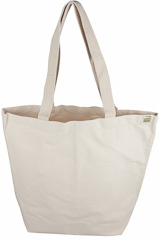 Unlike bulkier totes, this bag folds neatly and easily to fit in a small space. 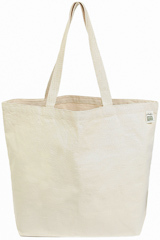 The cotton web handles allow you to comfortably carry the bag either over the shoulder or as a tote, without straining.